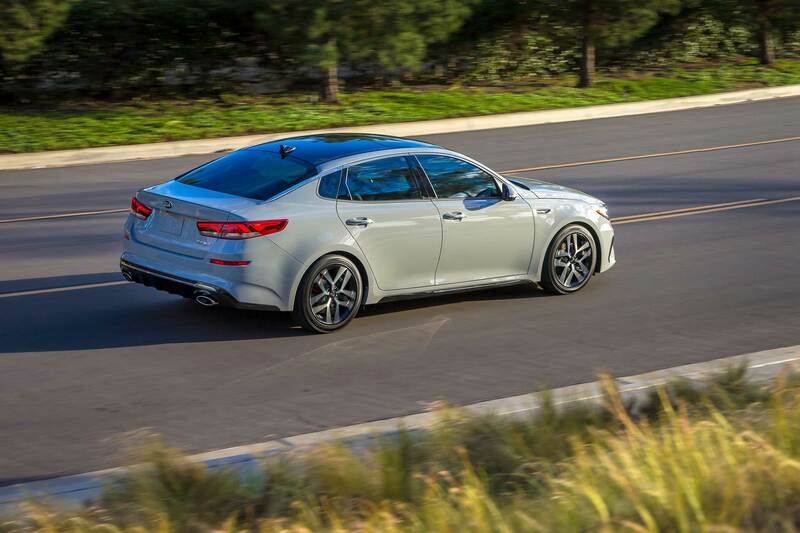 NEW YORK, March 28, 2018 – The refreshed 2019 Kia Optima debuted at the New York International Auto Show today. 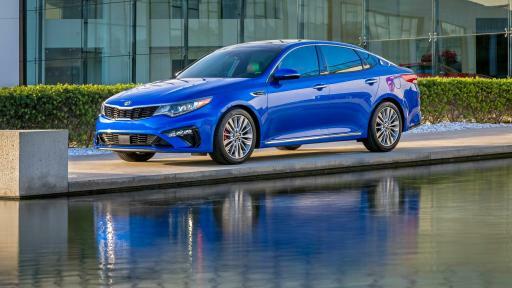 Kia’s best-selling midsize sedan was unveiled with new design cues inside and out, expanded ADAS technology, a new UVO infotainment strategy and available European-inspired red and black two-tone sport leather-trimmed seats. 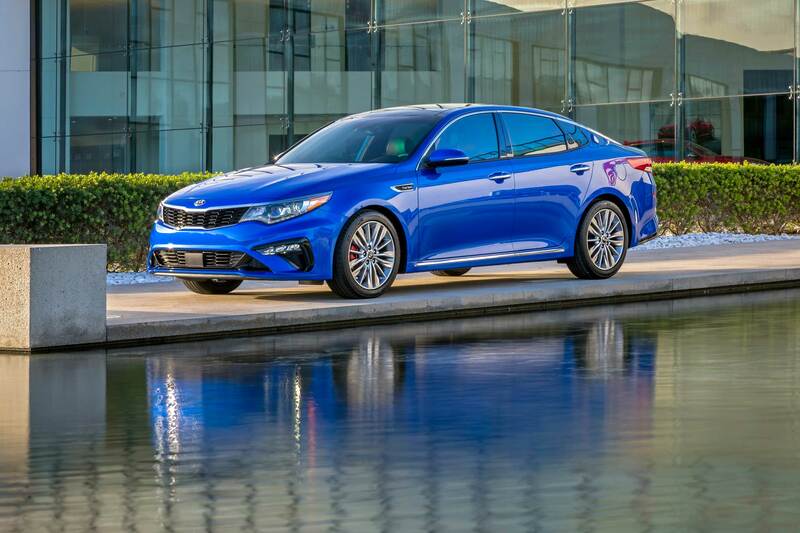 Additional available enhancements to the Optima line include new alloy wheel choices, ambient LED interior lighting, and a new Passion Red exterior color. UVO play is standard on the LX. 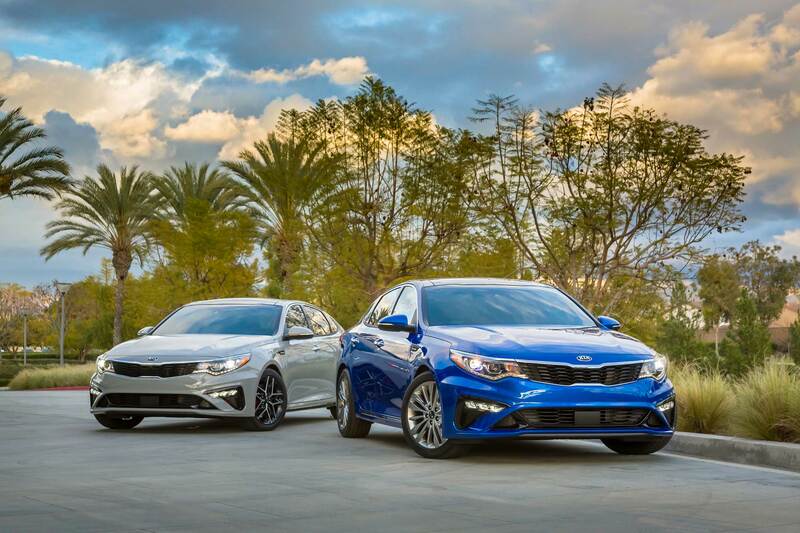 Featuring Apple CarPlay®6 and Android Auto™6 capability, UVO play tethers the user’s compatible smartphone to the Optima’s audio system through a USB cable7. Via voice recognition8, drivers may use their compatible Apple9 or Android10 smartphones for navigation, to make calls, send and receive messages, and listen to music all in a way that allows the driver to stay more focused on driving. 1 These features are not substitutes for safe driving, and may not detect all objects surrounding vehicle. 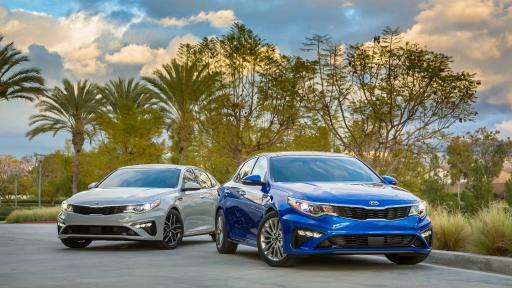 Always drive safely and use caution..
3 Harman Kardon is a registered trademark of Harman International Industries, Inc.
5 Apple CarPlay® is a registered trademark of Apple Inc.
7 USB cable not included with purchase of 2019 Kia Optima. 8 UVO play requires smartphone connectivity for voice recognition functionality. 9 Apple® is a registered trademark of Apple Inc.
10 Android™ is a trademark of Google, Inc.
11 Remote features require a wireless signal with good coverage to function, and normal cellular service rates may apply. 12 Vehicle Diagnostics are not a substitute for regularly scheduled maintenance. Vehicle Diagnostics checks powertrain, chassis and air bag systems, and requires initial activation. See UVO eServices Maintenance Feature or Owner’s Manual for maintenance schedule. 13 Do not use remote climate control or remote start if vehicle is in an enclosed area (e.g., closed garage) or a partially enclosed area without ventilation. 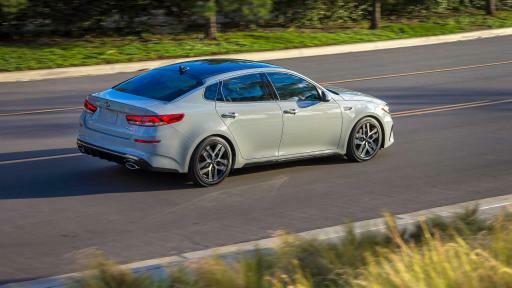 Close all doors leading from adjacent living areas to the enclosed or partially enclosed vehicle area before executing a remote climate control or remote start command. 14 Subscription required for map updates.